SMPL are working with Forces Connect South East and ASDIC [ http://www.asdic.org.uk ] to bring together Veterans Hubs and Services across Kent, E Sussex, W Sussex, Hampshire and Surrey. We are delighted to report that the Vulnerable Veterans project continues and now manages two Veterans Hubs (aka Drop-In’s), SAFDI in Woking and AAFDI in Aldershot. Aldershot Armed Forces Drop in on the first Monday of the month. We’ll keep an eye on them and report major updates here too but for the day-to-day stuff follow them @VulnerableVete1 on Twitter. We have hit all our targets set in the past six months and are helping more veterans each month. A full report on the project to date will be published shortly, after it has been submitted to the Ministry Of Defence. Please see our latest Post “SMPL REQUEST” on the Blog. Thank you in anticipation! Please check out our Reports and Publications page for the latest data available in our new report! Have a look at our introductory Leaflet here: Click on the link below! Tell people about this exciting programme that is assisting Vulnerable Veterans. Signpost veterans, reservist and their families to us. Put us in touch with anyone you think we can support. Well saving one life would be fantastic but in taking veterans out of the criminal justice system we will have saved your tax pounds and scarce resources for another vital task. By helping Vulnerable Veterans we are actually helping ourselves. This programme is going well: Our initial research and the subsequent report is completed. Easter has gone by and we are actively looking for volunteer Go to Guys and Girls who will mentor and coach veterans. If you think YOU may like to be a coach across Surrey – email us: contact@smpl.org.uk (or visit our contact page). We are researching issues that veterans families face. Are you a veteran with a view, a reserve or a member of a veterans family? Let us know what is good or bad about leaving the forces. What has your experience been? Our remit is across Surrey but that shouldn’t stop you getting in touch. We will try to help wherever you are. 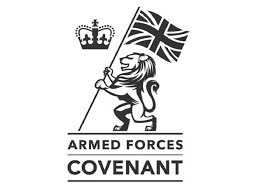 The Vulnerable Veterans Programme is funded by the Ministry of Defence through the Armed Forces Covenant Fund [follow the link here, http://bit.ly/1NxP6Km ] and is managed through the Office of the Police and Crime Commissioner for Surrey supported by the Surrey Civilian Military Partnership Board. It is presented by Roger and Lucy Nield who are parents to two serving soldiers. The programme started in February 2016 and covers the county of Surrey at this time. is to save the lives of our veterans in crisis in Surrey. In the context of this programme ‘veteran’ includes soldiers, sailors, marines, and RAF staff and includes our reserves and their families. It is proudly part of the Community Covenant. It is a sad truth that some veterans fall into contact with the Criminal Justice System and we will work with them to address their behaviour and mentor them to change their lifestyles to better and sustainable ones. FACT: Between seven and nine percent of Surrey’s prisons populations is made up of veterans. Why is this service necessary? Well there are many military charities and organisations that cover Surrey but there are none that specifically work alongside the criminal justice system to save the lives of veterans and prevent offending and anti-social behaviour. FACT: There are 143 military facing charities covering Surrey (Google). Also the military have specific issues when it comes to accessing local services. They also appear to be invisible in our communities. 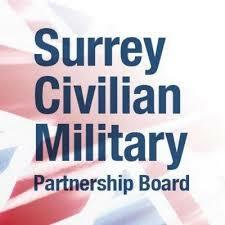 The Ministry of Defence and the OPCC for Surrey and the Surrey Civilian Partnership Board [SCPB] are all on board. We already support: The Masato Studio “homeless beanie” project and through them Woking’s “York Road Project”.